← What Are The Best Ways To Survive A Home Renovation? In the world today, literally everything is insured. From your life to your phone, insurance gives you a financial security that puts your mind at ease. In such a scenario, home insurance policies are no different. People across the country put in their entire life’s savings sometimes into buying a home and it is only natural to want to ensure that it is insured. 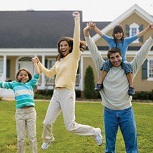 This can be done by investing in a good home insurance policy. – Securing your property assets from any mishaps. – Remain stress-free as you will always have a financial back-up in case of any unforeseen circumstances. – Having financial security helps fasten the rebuilding process in case of any significant damage, thus helping you move on with your daily life a lot quicker. – Get comprehensive coverage to not just the structure of the home but also for the possessions within the house. 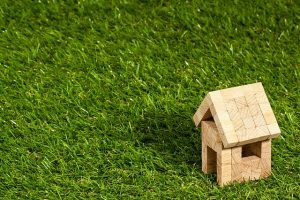 While applying for a home insurance policy, it is important to find out what losses the insurance covers and what it does not. 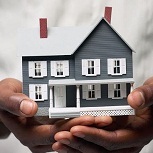 Usually, home insurance policies cover any damage due to natural or man-made calamities. This includes any damage caused by fire, lightning, earthquakes, storms, cyclone, aircraft damage, and floods. As mentioned earlier, the policy also covers the contents of the house and thus covers any loss due to theft and burglary. Thus, any valuable items, jewellery, silver and gold articles and precious stones that may have been stolen will be reimbursed. 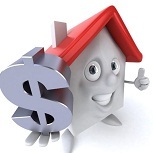 However, there are some things that are not included in the home insurance policy. This includes loss of cash, any damage caused by nuclear war or invasions by other countries, damage of possessions caused due to wear and tear etc. It is also a common misconception that only those who live in an own house or own property must apply for a house insurance. This is however simply a myth. Those living in rented or leased houses have all the rights to apply for an insurance policy and claim it in case of any damage. This will simply ensure that you can go back to your normal life as soon as possible after a calamity has struck. It also reduces any considerable financial stress. 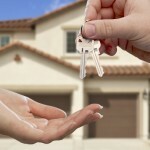 Thus, owner or tenant, a home insurance policy must be considered as a priority. – Coverage: As outlined above, choosing a policy that covers most calamities and losses is important. – Premium: The policy that you choose should have a monthly or yearly premium that fits within your budget and thus does not overwhelm you. – Settlement ratio: The settlement that you will be getting in case of any loss or damage should be an amount that will cover all expenses regarding the same. You must also be able to get the amount as soon as possible after filing a claim. Once you have an existing insurance policy for your home, in case of any loss or damage, the steps to claim the insurance is actually quite hassle-free. Depending on the company that you have your insurance policy with, you will have to inform them about the loss within the deadline given by them. Usually, this deadline is anywhere between 7 and 15 days. Before a claim is filed, an FIR or a First Information Report has to be filed. A copy of this report along with the documents given by the insurance company has to be submitted. You will also have to submit one or more documents such as an investigation report by the police, fire brigade report, invoices of owned articles, estimation of any repairs that need to be done, Medical Officer’s Certificate with respect to any disability or death and court summons. Apart from this, depending on the scenario, you may be asked to submit relevant documents. Once the documents are verified and the claim is accepted, you will get the financial aid that you are entitled to. This entry was posted in First Time Home Buyer Info and tagged Home insurance policy, Importance of Having a Home Insurance Policy in India, Is insurance policy important in india. Bookmark the permalink.